It was a grace-filled moment that we will remember for a long time. 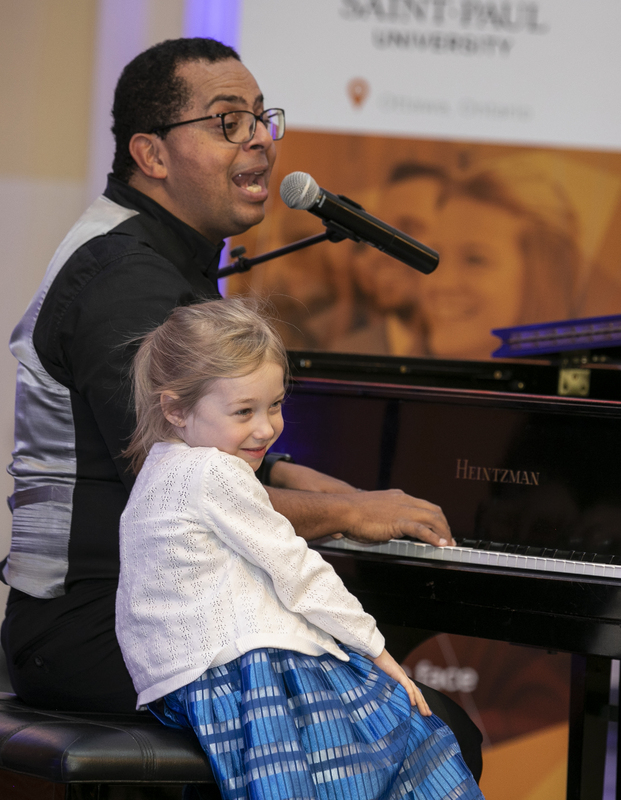 On Wednesday, November 21, at 5:30 p.m., Gregory Charles sat down at the De Mazenod chapel piano to give a private concert for hundreds of donors and members of our large University family. True to form, the piano virtuoso of many hats had prepared a one-of-a-kind musical journey. In fact, it was as a family, accompanied by his wife and their daughter, Julia, that Gregory wanted to experience this special evening. 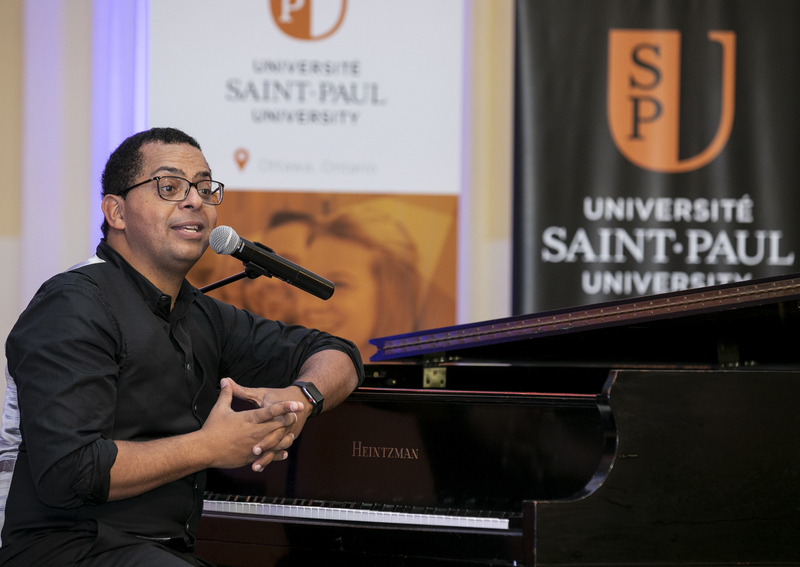 It was also out of affection for universities as institutions that Mr. Charles decided to perform at SPU. “Universities like Saint Paul are bastions of knowledge and custodians of our civilization,” he said. He also emphasized his strong connection with Ontario’s francophone community. “It’s rather strange to be mentioning it this week, when the province’s Francophonie is under attack,” he noted. He who is renowned in Ontario, as a host as well as an artist and choir director, took the opportunity to highlight his support for Franco-Ontarians at the end of the concert by affirming loudly and clearly their right to exist, which deeply touched the audience.